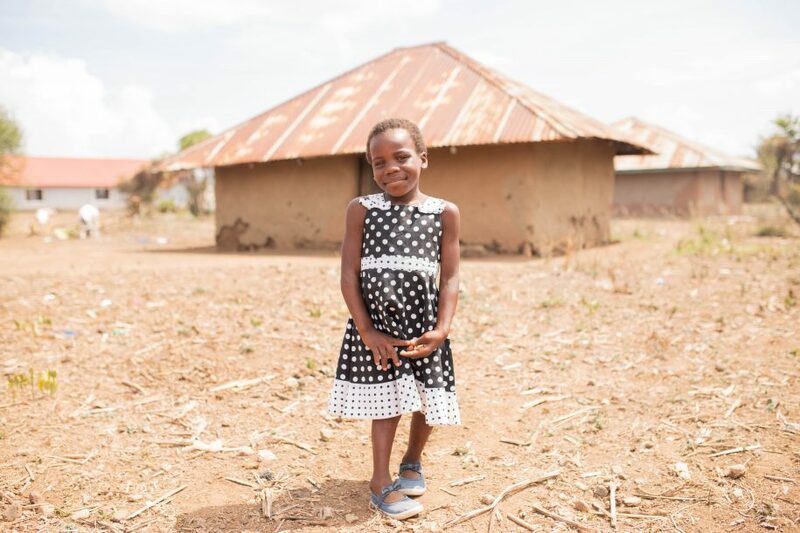 Maryanne is cheeky, adorable, welcoming, happy, and all of those sweet things you can’t help but notice every time you see her. 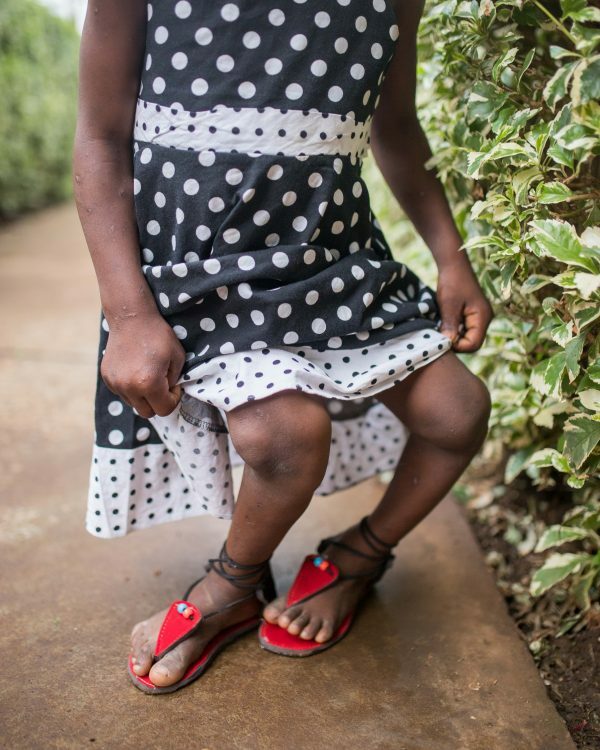 Maryanne is seven years old and has a limb deformity that developed after she turned two. Her legs mysteriously began bending awkwardly around the knees, giving her mom, Maureen, worry. 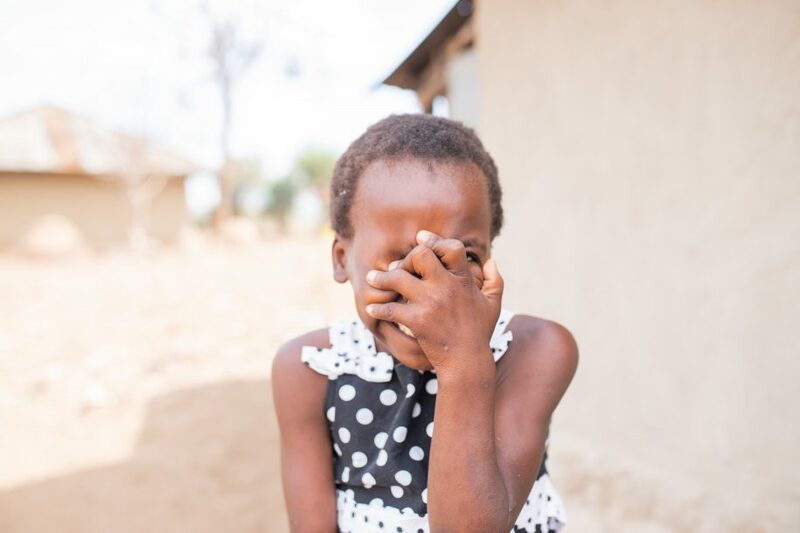 Maureen found herself unable to wrap her head around what was happening to her daughter. Maryanne before surgery at CURE. 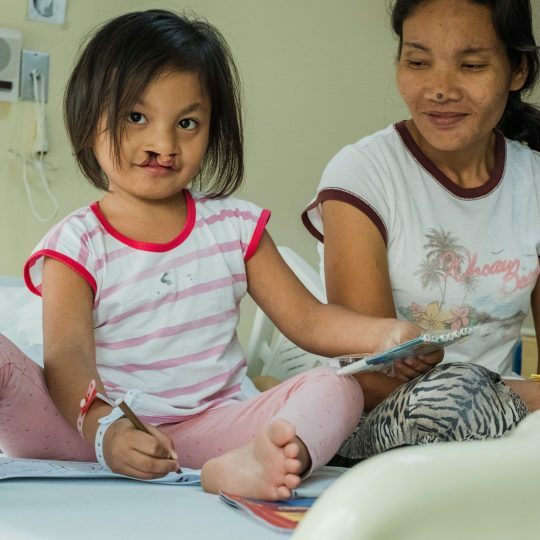 Maureen took her daughter to a distant hospital, the closest place where Maryanne could get help, where doctors told Maureen her little girl would need surgery. 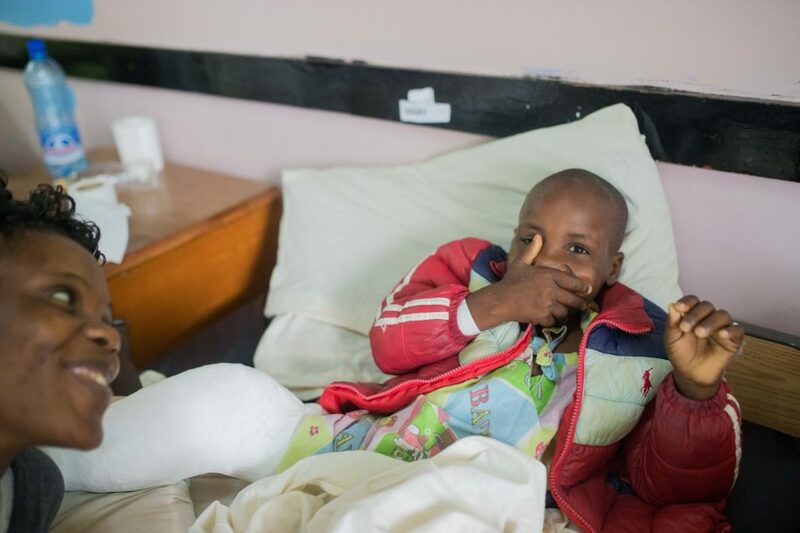 Maureen was anxious about the cost of the procedure, but then well-wishers helped her to raise the amount, and her daughter received surgery. Unfortunately, that surgery wasn’t enough. 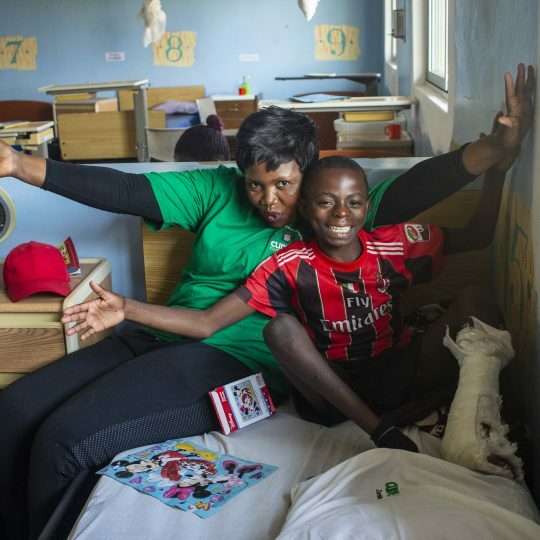 Maureen’s greatest desire is that her daughter will no longer struggle with her condition and that she will be like other kids. 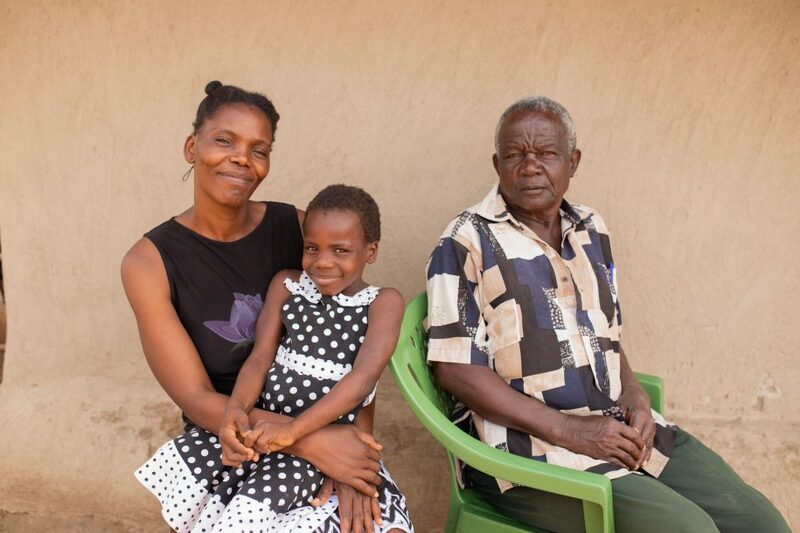 Maryanne went to school, but she was unable to walk or stand for very long. She was also subjected to verbal abuse from her schoolmates because she was different. “Sometimes Maryanne would come home and tell me how kids called her names in school, and that would really break my heart,” Maureen told us. 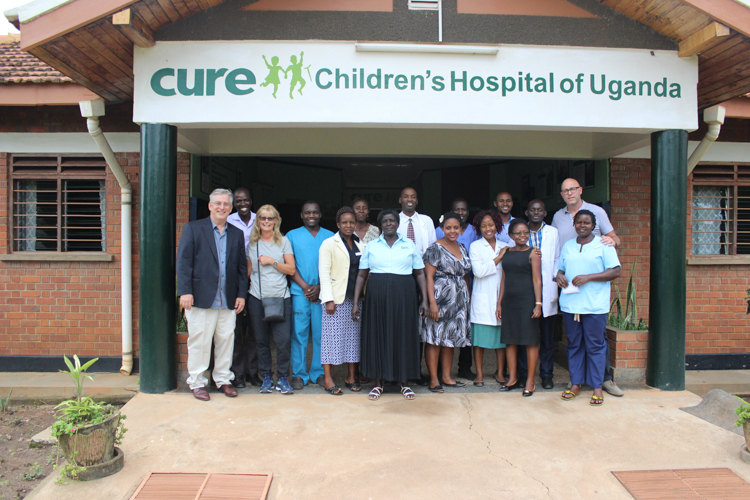 A team of doctors at the hospital where Maryanne received her first surgery told Maureen about CURE Kenya. She was asked to provide her contact information and to wait for a phone call. 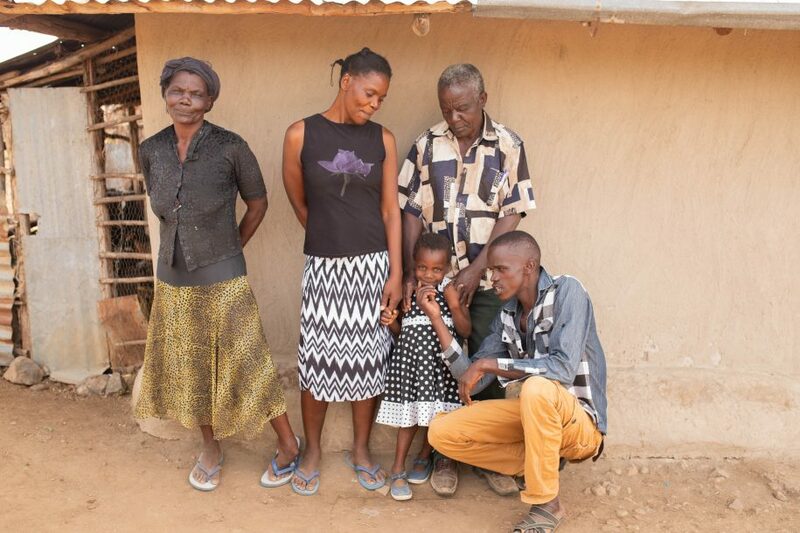 Soon, the phone call came, and she was asked to bring her daughter to CURE Kenya. 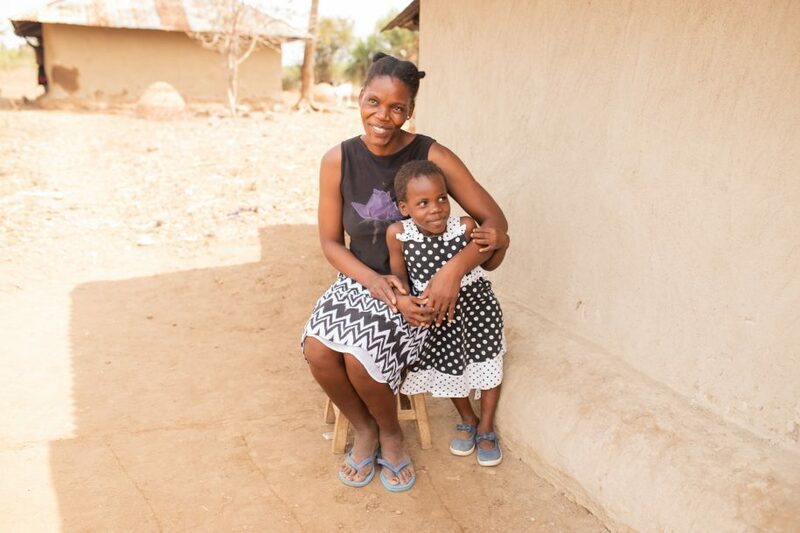 Maureen, overcome with excitement, believed that phone call was the turning point for her daughter and that Maryanne would receive healing! The phone call came in June. 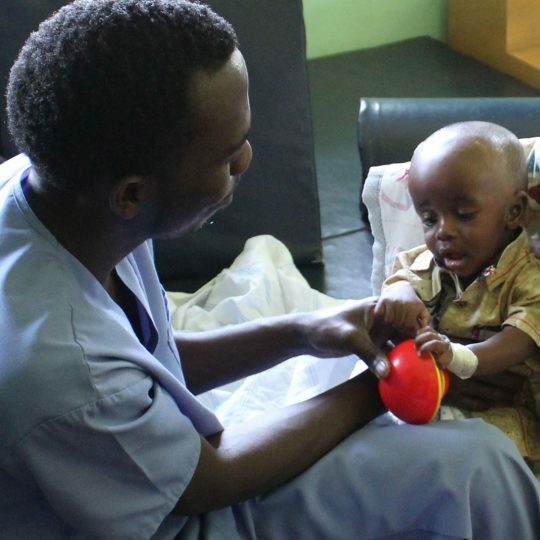 Maryanne spent some months at CURE Kenya healing after her surgery. 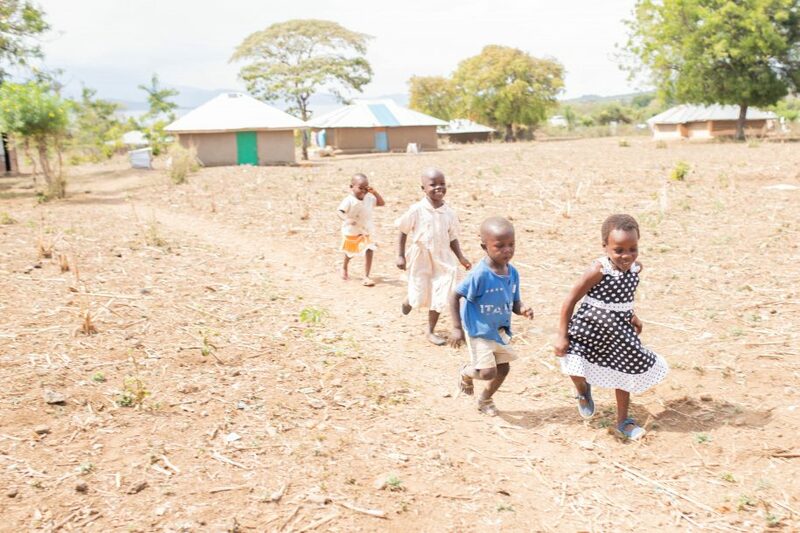 Fast-forward to December: We visited her home for follow-up, and when we arrived, Maryanne came running to greet us. Did you get that? She came RUNNING! 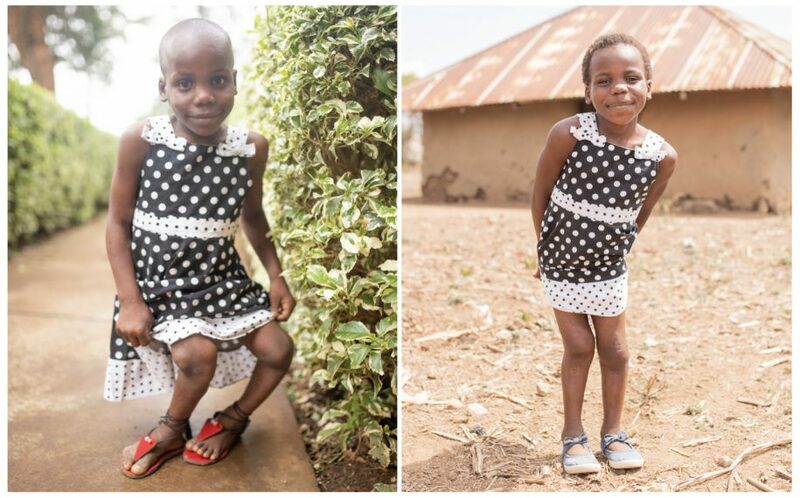 We were thrilled to see her in her cute dress and on her feet! We also received warm hugs from Maryanne and her mom. 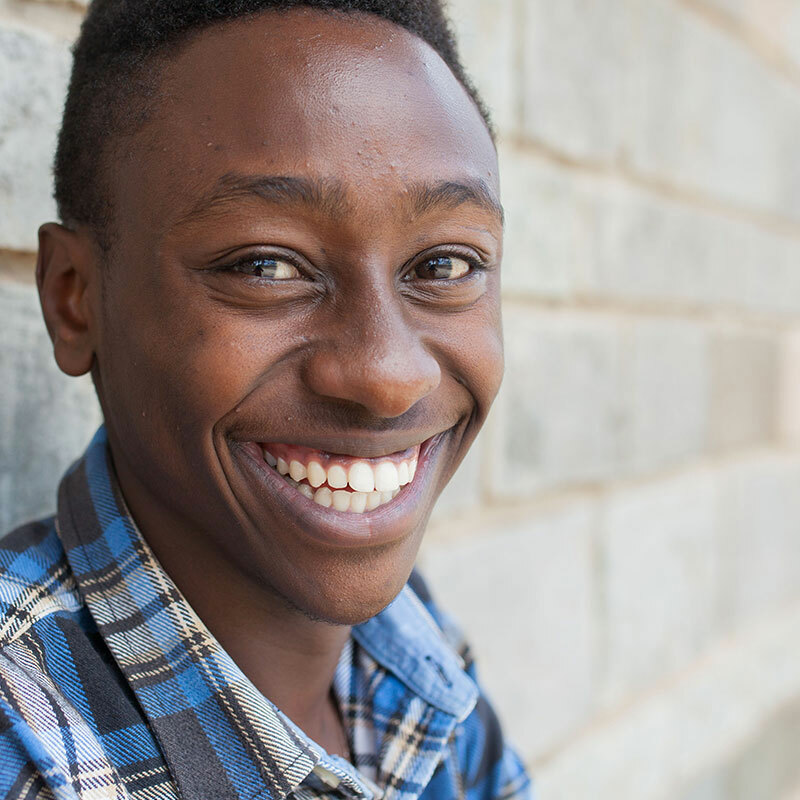 Maryanne’s grandfather, Earnest, was delighted when he saw Maryanne’s transformation. He, like Maureen, was disturbed by the ridicule Maryanne endured, and for the longest time, he tried to find a solution. Thankfully, that solution came, and Maureen told us that kids no longer call Maryanne names. 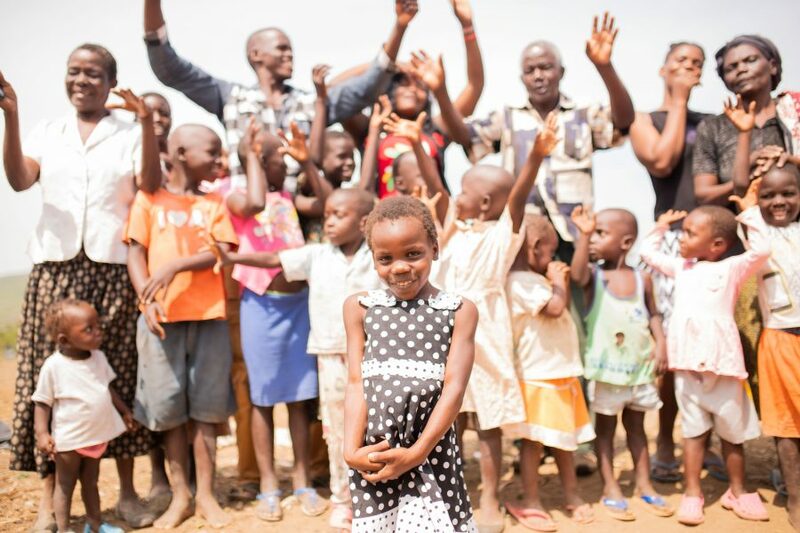 Maryanne plays with her friends, runs, and smiles like any other kid. Nothing holds her back. She is so full of energy! Maryanne running with her friends. 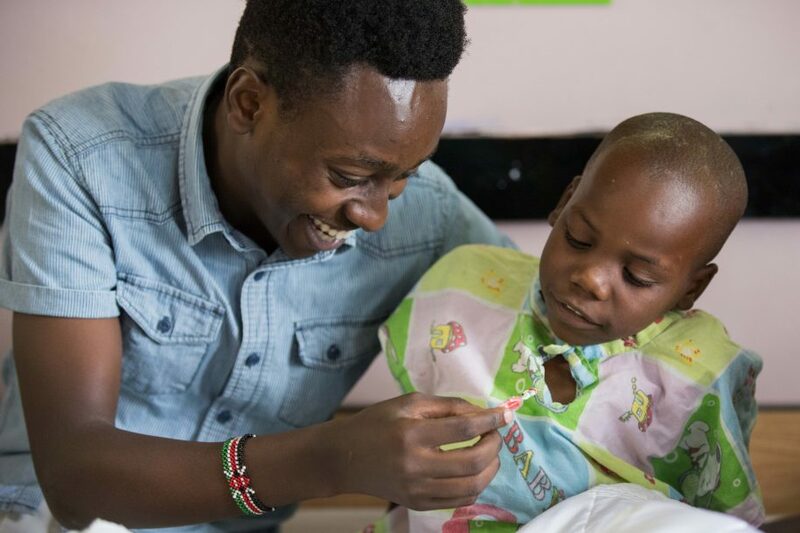 “When Maryanne came back home and was taken to church that Sunday, people really celebrated and thanked God, because Maryanne looked different and was healed,” Earnest told us. Maryanne’s family members were grateful hosts, and it was good to see Maryanne helping with chores at home. 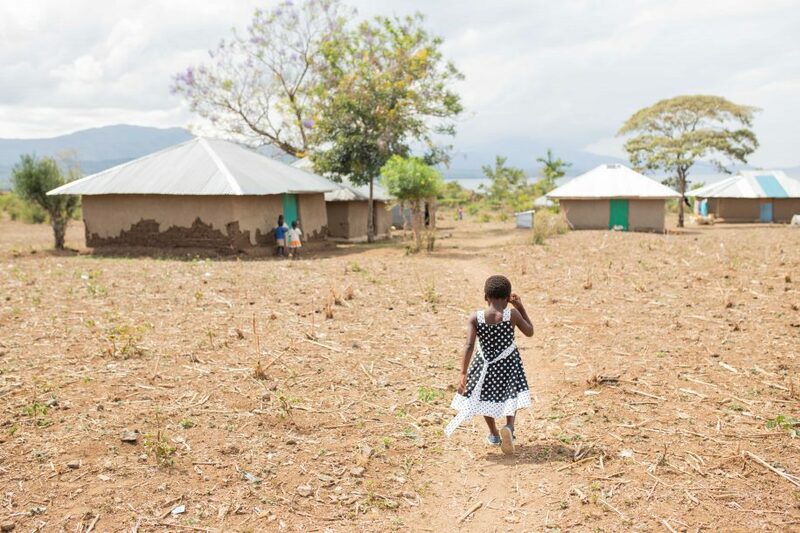 We’re thankful that God used CURE to be the turning point Maureen had hoped for Maryanne. 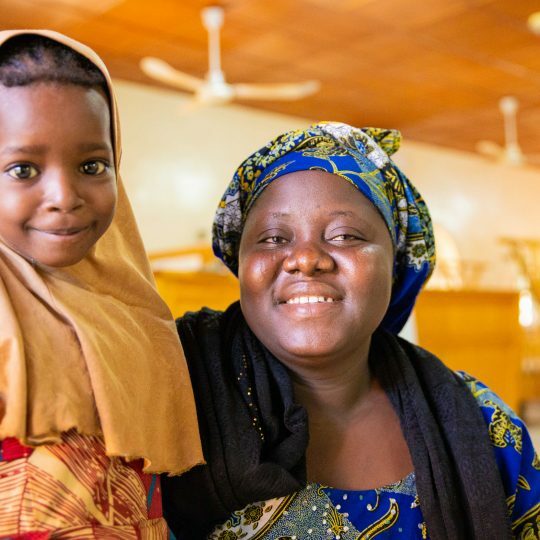 “I had lost hope trying to find help for my daughter, but when I heard about CURE and actually got to see my daughter’s healing with my own eyes, I started believing that she was going to have a normal life, just like her friends,” Maureen told us. 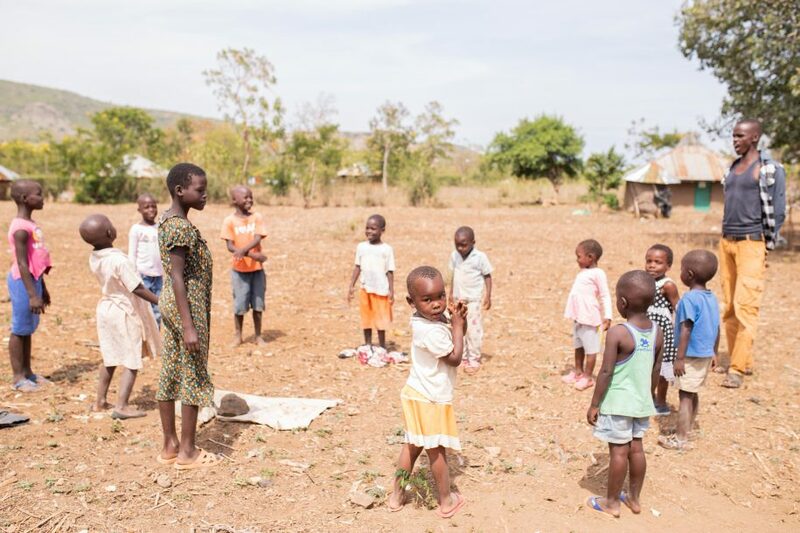 God transformed Maryanne’s life, taking her from the girl who was mocked because she struggled to stand and walk to the girl who runs and plays with her friends. Praise God for his goodness! 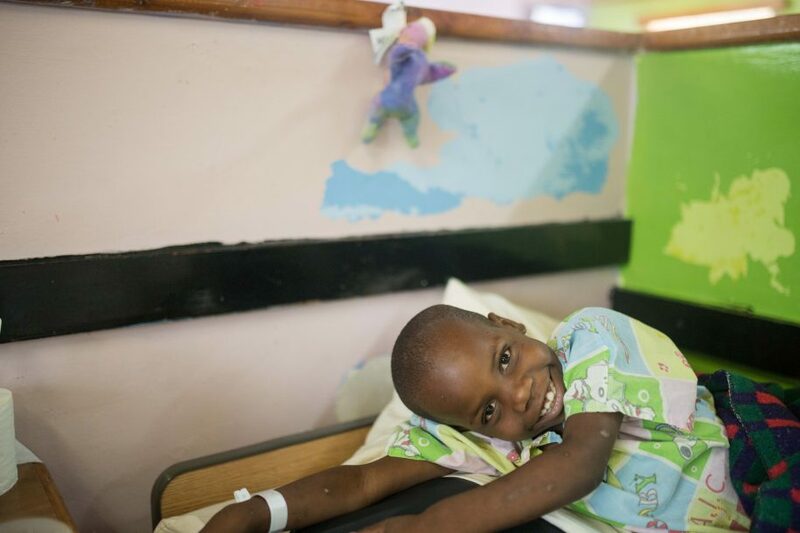 Enjoy some pictures that tell the story of Maryanne’s healing journey! All photographs by Naphtali Foster. 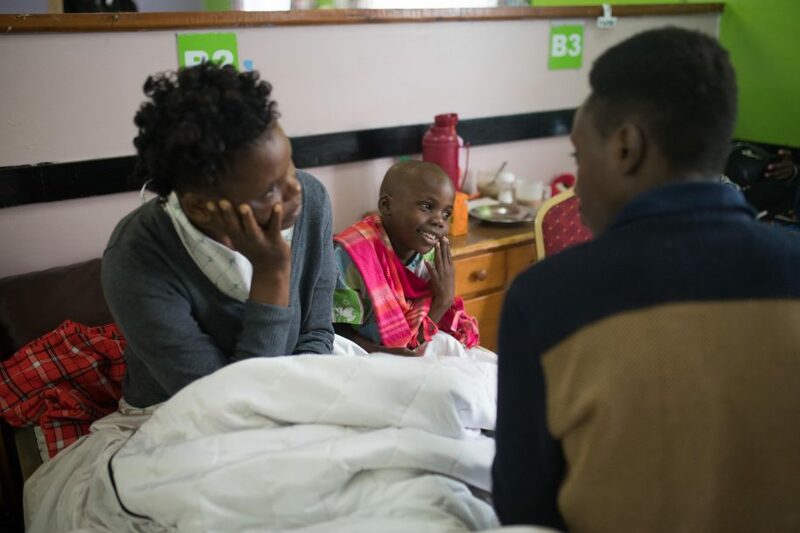 Maryanne’s joyful personality personality was evident even while she was healing. Storyteller Elvis gave Maryanne a sweet. Storyteller Elvis talks with Maureen and Maryanne in the ward. Maryanne runs with her friends. Maryanne, walking near her house. 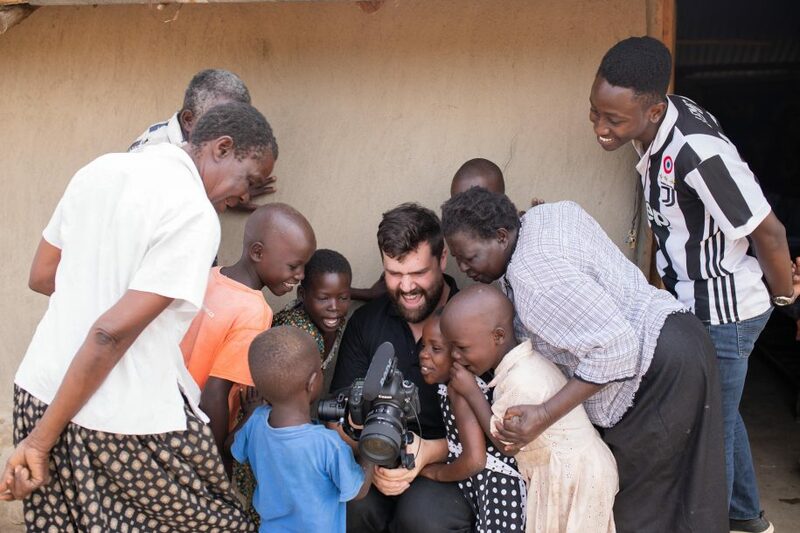 Maryanne and friends look at something on Storyteller Joel’s camera.